"Purple Dreams" by Sherry Collins Hogan, above. At left is "First Methodist Church" by Gay Arthur. Four art shows in the Chattanooga area will open with receptions this weekend. Find one near you. » Thursday, Nov. 8: Sherry Collins Hogan and Melinda Kingsley open their show with a reception at 6 p.m. at Reflections Gallery, 6922 Lee Highway. 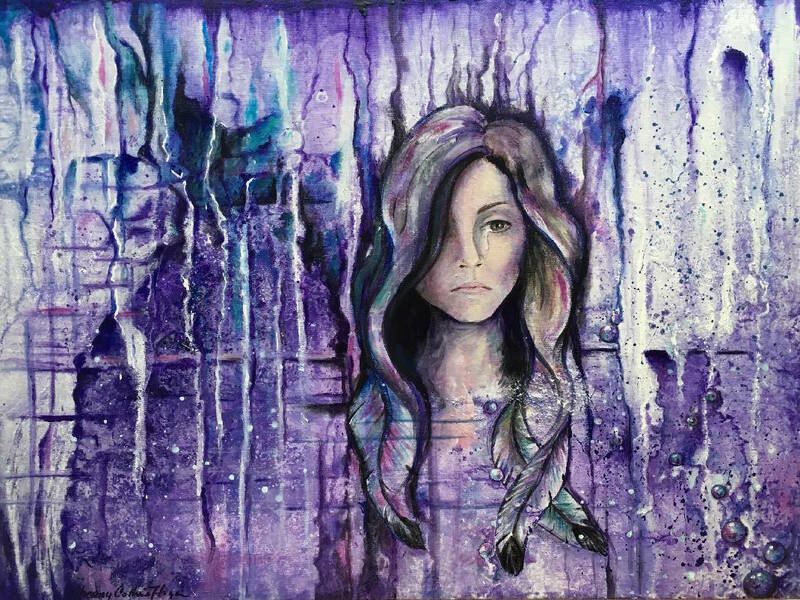 Kingsley will give a short talk on her art; Hogan will do live painting at 7 p.m. while answering questions about her technique in abstract/figurative work. "First Methodist Church" by Gay Arthur. » Thursday, Nov. 8: Get the inside story behind spectacular images from the Big Picture Natural World Photography exhibit during a reception and presentation at the Tennessee Aquarium, 1 Broad St., today from 5:30 to 7:30 p.m. Guests will be able to tour River Journey before or following the presentation. Admission is $15 Aquarium members, $20 nonmembers, which includes programs, one drink ticket and light snacks. » Saturday, Nov. 10: Regional Art Alliance opens "Autumn, Christmas and Winter" with a reception from 2 to 4 p.m. at Lifecare Center of Hixson, 5798 Hixson Home Place. The Alliance is a nonprofit that promotes interest in fine arts for artists of all skill levels. » Sunday, Nov. 11: "Moments in Time: The Fine Art of Gay Arthur" opened in First Christian Church, 650 McCallie Ave., on Oct. 7, however, the artist's reception is Sunday from noon to 2 p.m.
Arthur's fascination with architectural structures that are well-known throughout the city speak to her viewers. Because she loves the sense of place that structures hold for viewers, her paintings ignite conversations about years past among fellow art lovers and historians alike. Arthur worked as a dental hygienist for 25 years before following her dream and studying art at UTC. She graduated with a degree in painting and drawing in 2003. A portion of proceeds from sales of Arthur's work will be donated to Chattanooga Room in the Inn.